Morro da Providencia is the oldest favela in Rio de Janeiro dating to back to the late 1800. The favela is located in the center of the city, in front of the port area and in close proximity to the municipal bus terminal, train and metro stations. Today, the favela holds close to 5000 people (although the entire Morro da Providencia– including the “formal area”- holds about 13000 people total). From its beginning, Morro da Providencia has had a very direct relationship with the port area, as most of its residents worked and continue to do so, in the port. This relationship, quickly defined itself through the urbanization of the Morro as the favela, aiming to increase visibility with the port (in order to see when ships would arrive), grew and developed towards the bay/port. In addition, the most consolidated areas and potentially the most expensive areas in the informal real estate market of the favela (based on the material of the housing, the provision of basic services, etc.) are all located on the side of the morro that faces the port. 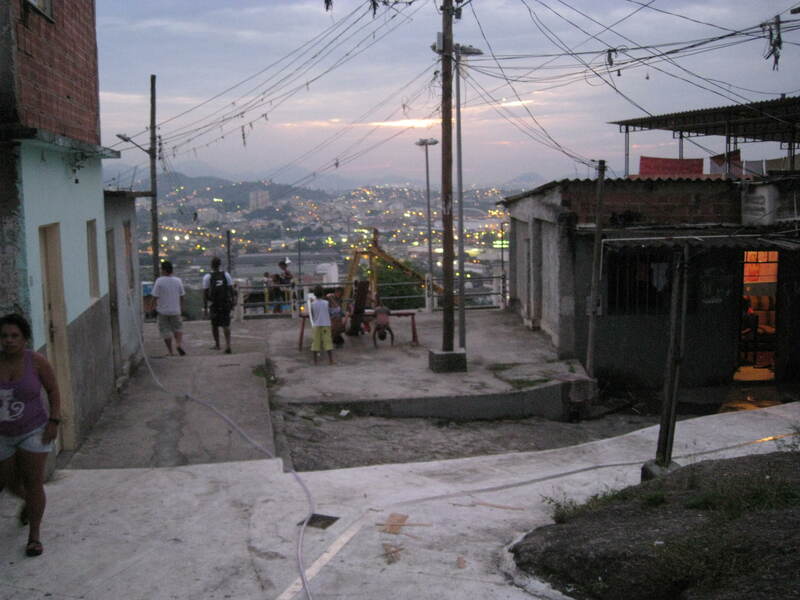 The Favela Bairro intervention, part of Lu Petersen’s ”Urban Cell” strategy, is called Open Air museum. Contrary to my initial thoughts, the open air museum is not a formal museum in itself. To be honest, I didn’t realize that I was in the museum, not knowing what to expect, as this intervention is also referred to the “Favela Museum”, I at least imagined some kind of an open air plaza containing informative panels and photographs. Quite different, the “open air museum” consists of a change in the ground treatment, moving from concrete to a white stone treatment. 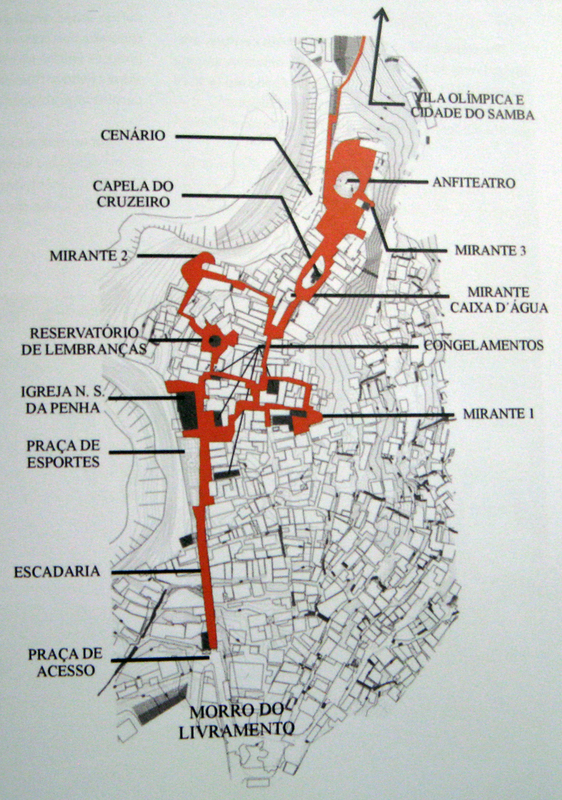 This new treatment forms a path intending to lead tourist to various lookout points and internal nodes, such as churches, a water tower, etc., in the favela. Although, basic services were installed, the houses, for the great majority, were left untouched. Interestingly enough, when asking the person that helped me in the visit, Mauricio Hora, a local photographer to Morro da Providencia, he stated that it is basically impossible to enter the favela if unaccompanied. That said, the Open Air museum, never opened to the public, and remained as a showcase for the prefeitura to bring its visitors. My thoughts on this type of intervention are twofold. On the one hand, and to give it the benefit of the doubt, the museum aimed to legitimize the favela and the life of its residents, by trying to open and display the settlement open to the rest of the city. 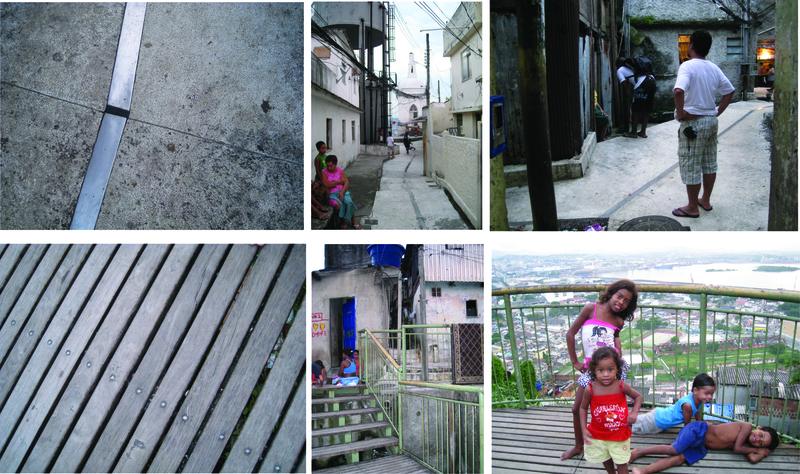 The other side, and unfortunately the one that comes through a little more clearly, is that this type of intervention is insulting and more bluntly than Rocinha’s Favela Tour, leads to poverty voyeurism, clearly maintaining and potentially reinforcing a separation between the visitor and the “other”. I can’t help but think of Las Peñas in Guayaquil, where small paths, stairs and plazas, as well as the facades of the surrounding houses were renovated and painted in order to beautify the city and attract more tourism in the area. Although this intervention in Guayaquil was quite themed, making the informal settlement look similar to a theme park, it also allowed a local commerce to spring up. Through education programs and some financial support, the municipality facilitated new commercial spaces and other small businesses in the area…With this comparison, I am not trying to defend Las Peñas- there are also very problematic aspects in this type of intervention- I simply want to point out that the Open Air Museum seems more like a spending than an investment for the favela and its reintegration to the city. As I mentioned previously, I was able to visit the favela thanks to a local photographer and community leader Mauricio Hora (as well as organizer of FAVELARTE). Mauricio was kind enough to tell me when I could take photographs and when I had to hide my small digital camera due to the presence of the police or the drug dealers in the favela. In effect, the Morro da Providencia, is currently a target of the UPP, and soon become another of the “liberated” favelas. 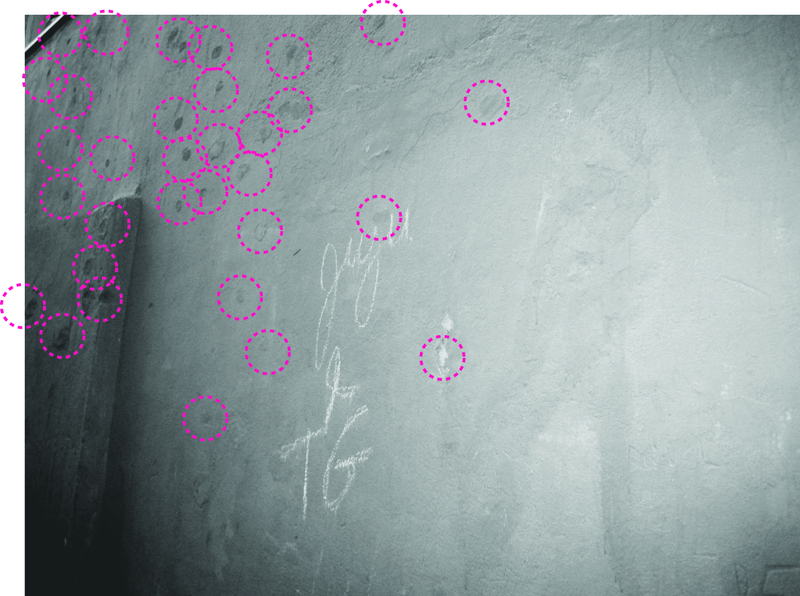 (http://www.upprj.com/en/?p=393), the various bullet holes are reflections of the various violent encounters that the favela is currently witnessing. 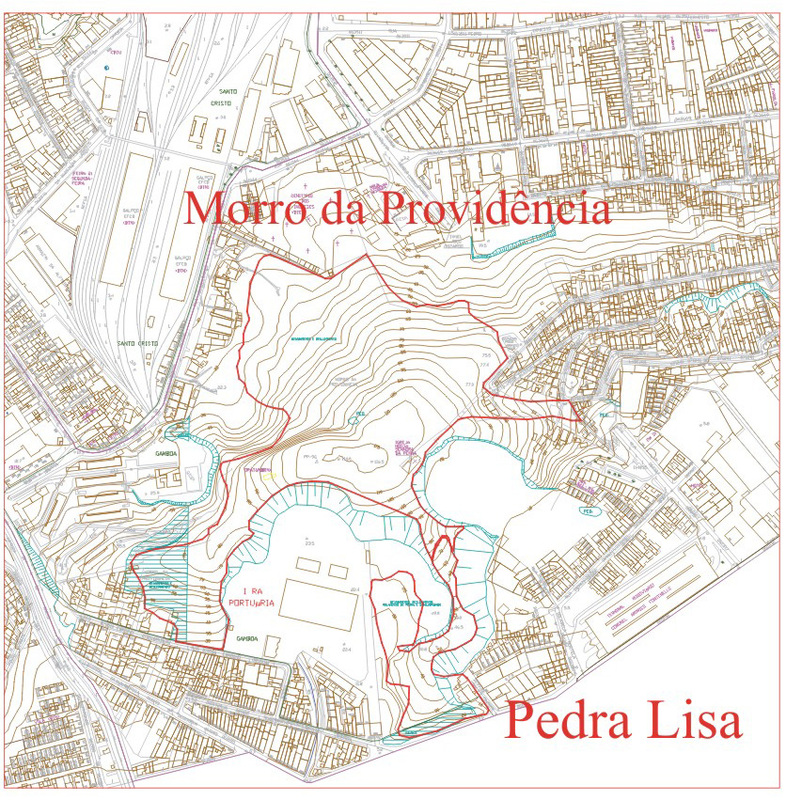 To make a last quick point with regards to Morroda Providencia, the favela, in addition to the Olympic village constructed at the foot of the morro, there have been various proposals regarding interventions in Morro da Providencia and it’s surrounding port area. The first is a proposal for a Guggenheim Museum, which was objected by the inhabitants of Morro da Providencia since it would be a $290 million (dollar) investment completely disconnected to the reality of the Morro and the necessities the majority of the surrounding population. 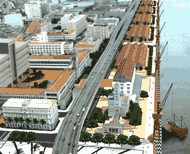 Currently, Rio has plans for a large renovation of the port area, called Porto Maravilha. Today the port is unused in its great majority, many of the structures used for large events, such as the UN Urban Forum, which took place at the end of March. The idea behind Porto Maravilha is to create a type of Puerto Madeiro (Buenos Aires), only it would be around 10 times larger! 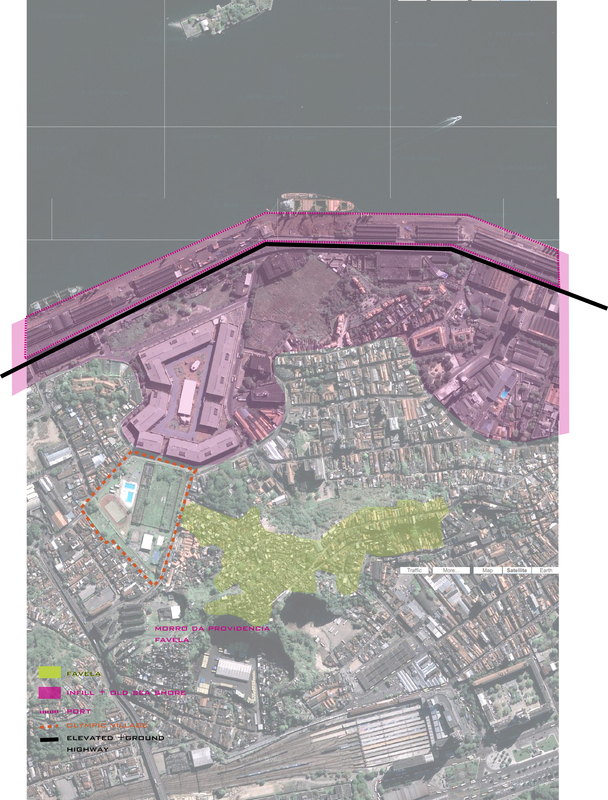 It will be interesting to see how the plan for the Porto Maravilha develops. If done with in an intelligent manner, this new port can be an investment and a key player in the physical and social reintegration of an important area in Rio. I found your fantastic site through some searches regarding this ‘open air museum’ in Providencia. I am an art history Ph.D. student and am working on a project about the intersection of community-based arts programs and community development initiatives in Brazil. I am planning a trip to Rio at the end of July-August and am trying to figure out how to set up a tour of this site. Do you have any suggestions on this? Your research sounds really great and I’ve found your site extremely useful! Thanks so much for any tips! Where exactly are you trying to go? I would actually recommend contacting the UFRJ (the Federal University). I found them to be extremely helpful in getting me contacts. I would call or even visit the University ahead of time- it might take a little bit of time to get the necessary contacts ready and the visit scheduled. Also, if you are specifically interested in visiting Morro da Provindencia ( where the “open air museum” intervention took place), I would try contacting Mauricio Hora- he is a photographer and a leader in the community. He has his own organization there- favelarte.com. On a side note, let me know about your research-what other projects are you looking at? Adriana, the Guggenheim image posted is not for Rio but for Guadalajara (design by Asymptote). 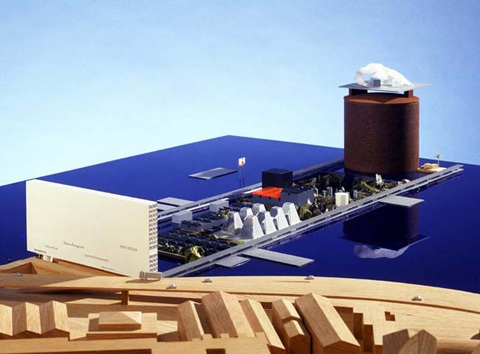 The Rio proposal is by Nouvel.